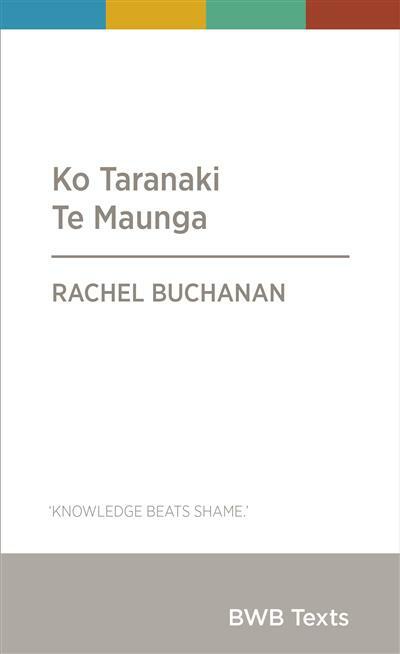 In this BWB Text, Rachel Buchanan tells her own, deeply personal story of Parihaka. In 1881, colonial troops invaded the village of Parihaka on the Taranaki coast. In an attempt to quell the non-violent direct action taken by the community against land confiscations, the government sent over 1500 troops into the village. Many people were expelled, buildings destroyed, and chiefs Te Whiti o Rongomai and Tohu Kakahi were jailed. In this BWB Text, Rachel Buchanan tells her own, deeply personal story of Parihaka. Beginning with the death of her father, a man with affiliations to many of Taranaki's eight iwi, she describes her connection to Taranaki, the land and mountain, and the impact of confiscation. Buchanan discusses the apologies and settlements that have taken place since te pahuatanga, the invasion of Parihaka. Lastly, she considers what history and historical time might look like from a Taranaki Maori perspective, and analyses the unfolding negotiations for the return of Mt Taranaki. Dr Rachel Buchanan (Taranaki, Te Atiawa) is an historian, archivist, journalist and curator. 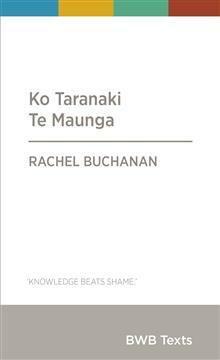 Rachel is the author of The Parihaka Album: Lest We Forget (Huia, 2009) and Stop Press: The Last Days of Newspapers (Scribe, 2013). She wrote poems for The Anatomy Lesson, an artist book by Geoffrey Ricardo and in 2014 she produced an artist newspaper, Melbourne Sirius. Her essays on trees and Taranaki land have been anthologised in Tell You What: Great New Zealand Non-Fiction (2015, 2016). For the past two-and-a-half years, Rachel has been curator, Germaine Greer Archive, at University of Melbourne Archives. Her essay `How Shakespeare Helped Shape Germaine Greer's Masterpiece' won a 2016 Australian Society of Archivists Mander Jones award. Rachel has been published in The Conversation, The Monthly, Meanjin, Griffith Review, VICE NZ and Fairfax newspapers. Her scholarly writing has been translated into Maori, Farsi and French and has appeared in journals in Australia, New Zealand, Canada, Iran and the United States.